The Comeback of ISIS: Will Your Favorite Jihadist Group Return? March 10, 2019 Philip C. Johnson, Ph.D. http://www.globalnext.org Perhaps you noticed that this particular article suddenly disappeared after being published. If you were someone who was able to read the original, I am happy for that. If not - let me explain. I have spent the last week dealing with Kurdish government officials who have … Continue reading The Comeback of ISIS: Will Your Favorite Jihadist Group Return? Goodbye Syria and Afghanistan: Good? Bad? Or Prophetic? Philip C. Johnson, Ph.D. December 24, 2018 http://www.globalnext.org Last Wednesday, President Trump announced that we are bringing our troops home from Syria and about half of our troops home from Afghanistan. Politicians, military experts and the media have all reacted like the world is coming to an end. Even all those politicians and media pundits … Continue reading Goodbye Syria and Afghanistan: Good? Bad? Or Prophetic? As 2018 winds down, here are two more global issues that matter - Growing nationalism in Europe and the draconian Islamic blasphemy laws in Pakistan - most recently in the case of Asia Bibi. It's your world: Be informed. May Madness: Will Israel Survive the Month of May? May 5, 2018 Phil Johnson, Ph.D. http://www.globalnext.org Ahmed Khidr is not my friend. Oh, he appears as one of my “friends” on Facebook - but so do nearly 5000 other people. And as we all know, “facebook friends” are not always what we’d call friends in the real world. But Mr. Khidr recently posted on … Continue reading May Madness: Will Israel Survive the Month of May? Move an Embassy, Start a War? A Conversation with Dr. Abdullah Abdullah in Ramallah, West Bank Phil Johnson, Ph.D. April 22, 2018 globalnext.org SWIRLING GLOBAL EVENTS: Sometimes you find yourself in the middle of a swirl of global events and you’re not exactly sure where those events - where those stories are taking you. I believe we find ourselves in such … Continue reading Move an Embassy, Start a War? Phil Johnson, Ph.D. January 25, 2018 http://www.globalnext.org OK, admit it - you aren’t exactly sure where Uzbekistan is. It’s OK, you’re not alone. Collectively, we’ve pretty much ignored this part of the world with the notable exception of Afghanistan. But 2017 put Uzbekistan front and center with a spate of terror attacks all purportedly committed by … Continue reading Radicalizing Uzbeks? 2017: It’s Time to Go! by Phil Johnson, Ph.D. December 31, 2017 http://www.globalnext.org 2017 was as busy as usual for the Globalnexter - I began the year in Poland, followed by Baghdad, Germany, Italy, Republic of Georgia, Finland, Estonia, Israel, the UK, Paris, Turkey, the Syrian border, Korea and now, I sit in Athens, Greece writing my final blog of … Continue reading 2017: It’s Time to Go! The Class of 2017: Are You Ready for THIS World? New Season Begins for GlobalNext! August 2, 2016 The hot, slow days of July have gone by and August is upon us. With that, things for the Globalnexter begin to step into high gear. For those who are following our work, our ideas and our global impact - here are some upcoming highlights. 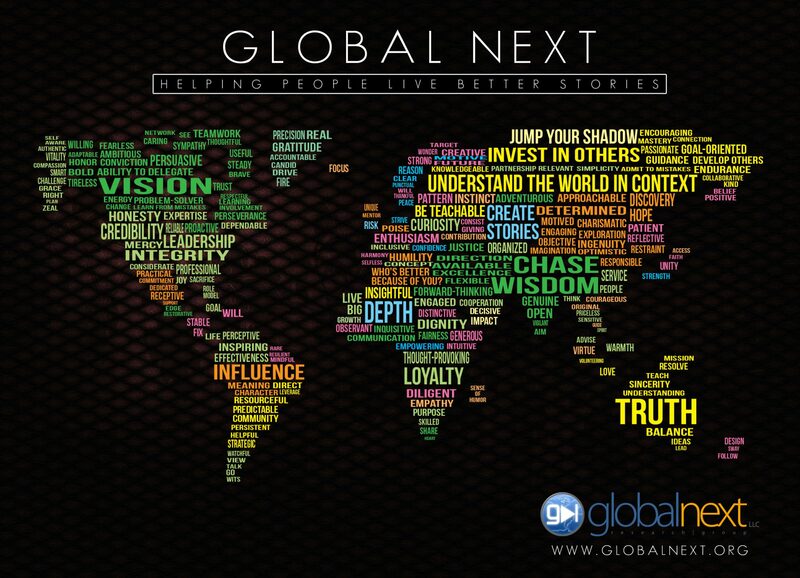 We hope you'll be able to join … Continue reading New Season Begins for GlobalNext! Benghazi, Libya: Is There Anything New? Phil Johnson, Ph.D. June 29, 2016 http://www.globalnext.org When our consulate in Benghazi was attacked on September 11, 2012, I was in Cairo, Egypt - watching our embassy being attacked by a large and angry group of Egyptians - who were actually offended by an anti-Muslim video they had seen on YouTube. The building had been … Continue reading Benghazi, Libya: Is There Anything New? ISIS: Get Your Boarding Passes Ready: Next Stop, the USA. Is ISIS coming to the US? This is a revised version of my original article. Why? Because the original article sent the Kurdish government into a panic because I revealed classified and sensitive information. Read the new version to find out the absurd interaction between a simple journalist like me and the loose lips of Kurdish government officials. Ridiculous. Perhaps you noticed that this particular article suddenly disappeared after being published. If you were someone who was able to read the original, I am happy for that. If not – let me explain. I have spent the last week dealing with Kurdish government officials who have been nagging me, begging me and harassing me to delete the original article? I’ve been promised other access and other information from high-level government officials on my next visit – but we’ll see. Why all the panic on their side? (And trust me – it was panic – I am tempted to publicly release their emails to me.) Because apparently, the information that I wrote about was extremely accurate, but highly classified and sensitive.